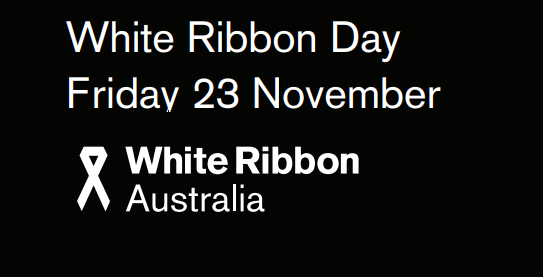 Friday 23 November 2018 is White Ribbon Day, a global movement to eradicate men’s violence against women. Ahead of White Ribbon Day, AccessEAP, a corporate psychology organisation which supports and develops positive organisational behaviour, has developed a three step guide to help businesses support domestic violence victims at work. One in four¹ Australian women has been, or is currently, a victim of domestic violence, which is the leading contributing factor to illness, disability and premature death in women between 18 and 44². The majority (94 per cent³) of employees believe that employers should educate their teams on the topic, which would create an environment where victims feel comfortable to speak up. Unfortunately, recent research shows that only 48 per cent of those experiencing domestic violence disclosed their experiences to a manager and just 10 per cent4 found their responses to be helpful. “Companies have an important role to play in supporting women experiencing violence at home,” says Marcela Slepica, Clinical Director of AccessEAP. While provisions such as additional leave, financial assistance and security measures will go a long way towards supporting women to remain in the workplace, other external assistance may also be required. Referring employees to an expert domestic violence service can provide crisis counselling, information on crisis care facilities and refuges, information on domestic violence orders and court support and information on longer term counselling services. AccessEAP has recently launched the White Ribbon Workplace Accreditation Program, which recognises organisations that it has worked with to refine business practices to prevent and respond to violence against women. The program is delivered by AccessEAP trainers to educate employees and assist in the development of a domestic violence action plan based on the Recognise, Respond, Refer process. Allied courses include Domestic and Family Violence Awareness and Sexual Harassment training. Pennay, D. & Powell, A. (2012). The role of bystander knowledge, attitudes and behaviours in preventing violence against women.